SEASON 2014 ~ CLECKHEATON CRICKET CLUB. 1st TEAM. Back Row: Ian Nicholson, Ian Wood, Iain Wardlaw, James Lees, Andrew Deegan, Richard Whitehurst. 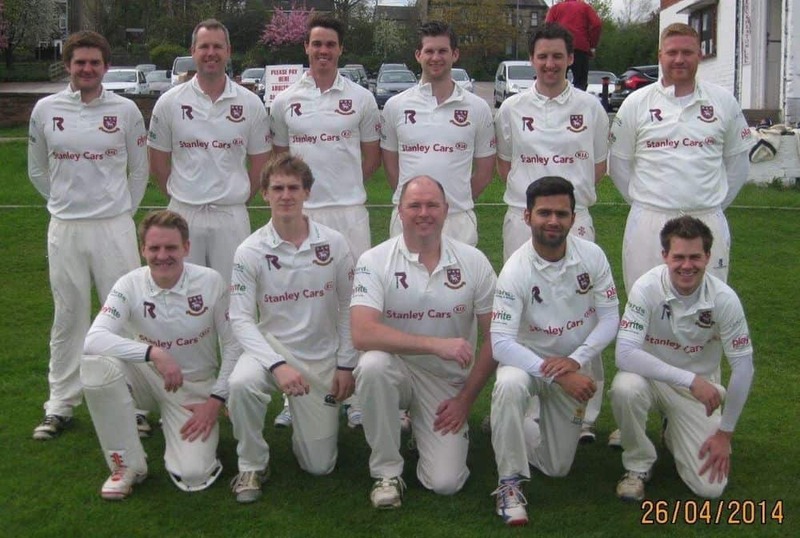 Front Row: Mally Nicholson (Wkt.Kpr), Andrew Gorrod, John Wood (Captain), Tanzeel Altaf, Tim Jackson. 1st TEAM FIXTURES & RESULTS ~ 2014. CLECKHEATON FINISHED THE SEASON AS 2014 BRADFORD LEAGUE DIVISION ONE CHAMPIONS. NEW FARNLEY. HWC 1st RND. YORK. BLACK SHEEP. SEMI FINAL. PUDSEY ST LAW. P/CUP. FINAL. HANGING HEATON P/CUP. 3rd Rnd. 2nd TEAM FIXTURES & RESULTS ~ 2014. NEW FARNLEY. CC. 1st RND. FINAL LEAGUE TABLE at 6th SEPTEMBER 2014. FINAL LEAGUE TABLE at 13th SEPTEMBER 2014. 1st TEAM ~ END OF SEASON AVERAGES. 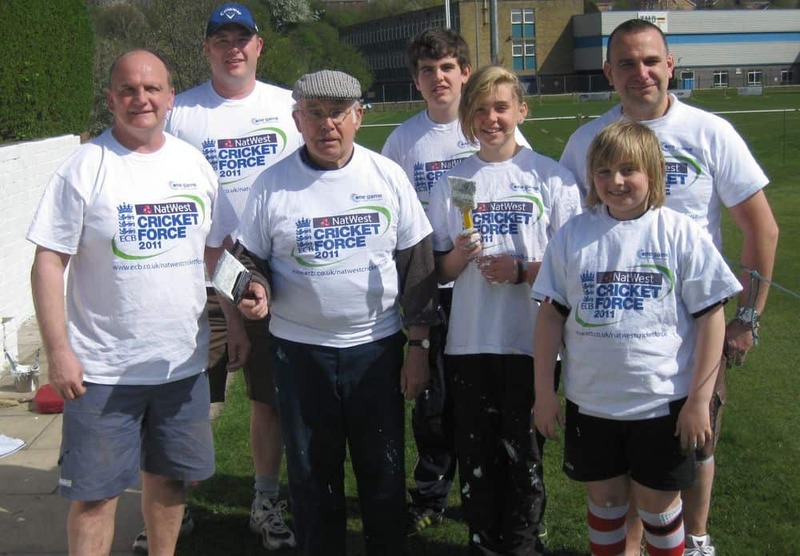 AVERAGES INCLUDE ALL BRADFORD LEAGUE, PRIESTLEY CUP, HEAVY WOOLLEN CUP & BLACKSHEEP MATCHES. .....ALSO BATTED: SAM GATENBY 15no. .
TIM JACKSON ~ 2 Fielding Awards in 19 Matches. JAMES LEE ~ 2 Fielding Awards in 22 Matches. 2nd TEAM AVERAGES ~ SEASON 2014. THIS LIST OF AVERAGES INCLUDES ALL BRADFORD LEAGUE, PRIESTLEY SHIELD & CROWTHER CUP MATCHES. 1 AWARD EACH ~ CRAIG BLACKBURN (in 14 Games), JACK BLEAZARD, LIAM BLEAZARD, SAM GATENBY & JOE WOOD. 1 Fielding Award each - JACK BLEAZARD (18 games), CRAIG BLACKBURN (19 games), CHRIS DOBSON (22 games).